“Are locs permanent or not?” This is a very common question surrounding dreadlocks, and the popular misconception is that you have to cut your locs off to start your natural hair journey over. Contrary to popular belief, you do not need to cut your locs off; you can actually comb out your locs AND retain long, healthy, natural hair! 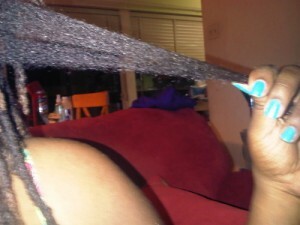 If your locs are less than 5 years old they should comb out willingly with a little TLC during the takedown process. Beyond 5 years you’ll probably have to use a few common tricks to release the encased hairs, but it is still possible. Remember that your hair is ever changing, so maybe the 6 inches of hair on the ends are 5 years old, but the roots are only a few weeks old. 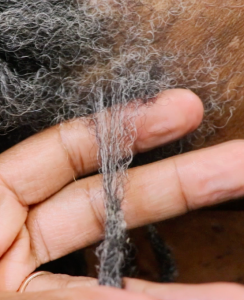 It is safe to say, if you have locs for 10 years, you can comb them out and have a head full of hair, contingent upon how well you’ve taken care of your hair during that time, but that’s a whole different post. 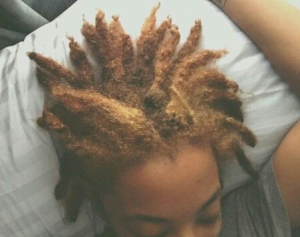 Ultimately, having locs is not a lifetime commitment. I personally learned first hand what is involved in the comb-out process and if you’re curious in seeing what is involved in a comb-out process, read step-by-step of “My Sisterlocks Big Chop Experience” or watch the painstaking Sisterlocks comb-out in action. 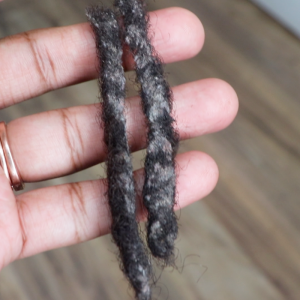 Let me know in the comments below, if you thought that you needed to shave the locs off or if you would like to know what tools, tricks, and techniques allow you to comb out locs AND retain length!